SRMJEEE (Sri Ramaswamy Memorial Joint Engineering Entrance Exam) Counselling Schedule 2017 will be announced on 4th May 2017 for the prestigious B.Tech course conducted by SRM University. Candidates who are shortlisted on the basis of their performance in SRMJEEE 2017 will be invited to the Counselling Procedure, which will be held at the premises of SRM University in Chennai, Haryana, and Sikkim locations. 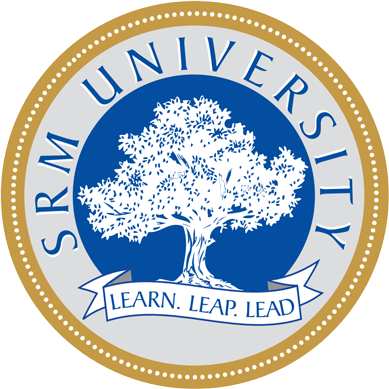 Candidates need to verify their documents according to the guidelines stipulated by SRM University and attend the Counselling Procedure in person. Candidates will get a call for SRMJEEE 2017 Counselling based on the rank obtained in SRMJEEE 2017 in the 3rd week of May 2017, which is tentative. Shortlisted candidates should compulsorily attend the Counselling Procedure in person. Counselling dates and time for SRMJEEE 2017 will be announced to candidates via SMS, post, besides being published on the official website. Candidates need to download the Counselling Letter from the official website. No modifications in the Counselling Schedule will be allowed. The admission fees for SRMJEEE should be paid through a DD (Demand Draft) drawn in favor of “SRMIST,” which should be payable at Chennai post allocation of seats and confirmation by candidates. All documents mentioned below need to be submitted in original form as well as a set of photocopies during the Counselling for SRMJEEE 2017. The Counselling Procedure will commence post verification of documents. Candidates need to pay the fees for the first academic year post SRMJEEE 2017 Allotment of Seats for confirming the admission. Any change in branch allotment will not be allowed after the candidate makes a confirmation. Demand Draft for Rs 1,00,000 for part of the SRMJEE 2017 tuition fee or full tuition fee, whichever is lower. Demand Draft should be drawn in favor of “SRMIST,” which should be payable at Chennai. The remaining tuition fees (if any) should be paid prior to the last date as stipulated by the University, failing which admission would be cancelled. This concludes the Counselling Procedure for SRMJEEE 2017.